Food insecurity refers to the USDA’s measure of lack of regular access to nutritional food for an active and healthy life. The food insecurity rate in Bullit County is 10% of the total population, and the child food insecurity rate is 14.8%. Last year, Dare to Care distributed enough food to provide 645,000 meals to Bullitt County families in need. Of that, 256,000 pounds were fresh produce, which was distributed for free. It was Thursday night and 82-year-old Betty was heading to a sock hop at Little Flock Baptist Church, one of Dare to Care’s partner agencies in Bullitt County. Although she was looking forward to a night of dancing, visiting with her friends at Little Flock Baptist Church came first. In addition to receiving food assistance from Little Flock Baptist Church, Betty participates in the programs Little Flock offers to the community. She enjoys the camaraderie, the kindness of all the volunteers and seeing familiar faces each week. “These are some of the best people I’ve ever met in my life,” Betty says of her Dare to Care family. 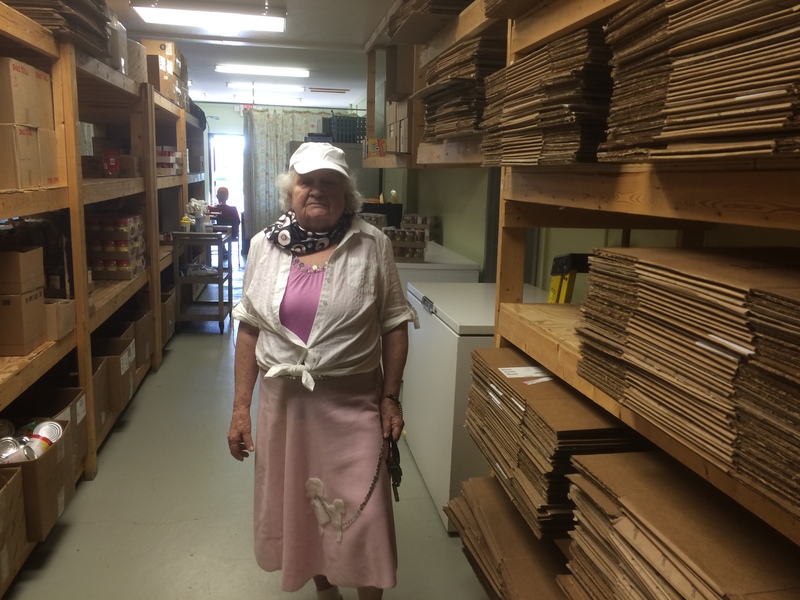 With 8 children, 19 grandchildren and 23 great-grandchildren, the food she receives from Dare to Care is appreciated, especially since Betty is on a fixed income. “The food is so helpful. I live meagerly and I don’t have modern conveniences, like most people, so it helps immensely in many ways,” Betty says.